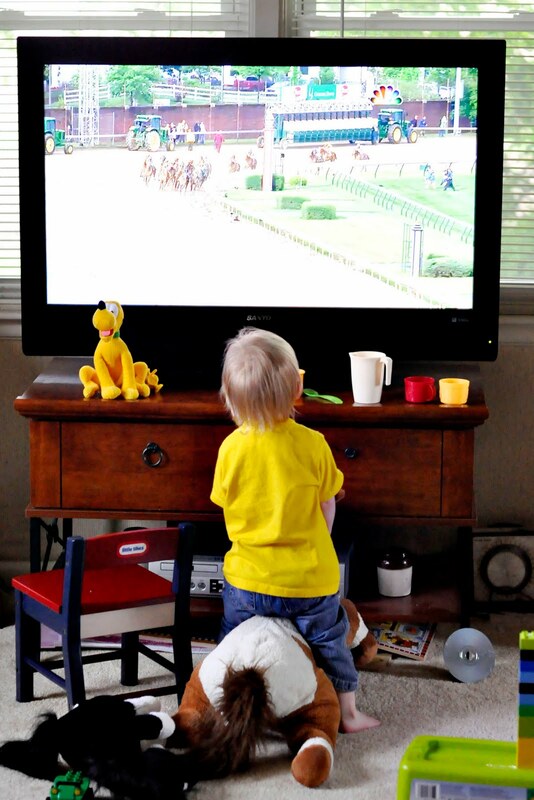 *She is watching the Kentucky Derby in case you can't tell. The TV screen is a little bright. She is fascinated by horses!